Special Report: Climate change is pushing seas ever higher, threatening coastal areas worldwide. The American epicenter is south Louisiana. The New York Times and @nolanews collaborated to bring attention to the ecological crisis facing this vital region. A football field’s worth of Louisiana wetlands vanishes every 100 minutes, according to the U.S. Geological Survey. Here’s how one fishing village is fighting for more time. I can rarely bring myself to read this thread. Survival is no substitute for living. The relative heat wave has resulted in the warmest February on record since 1958, with temperatures reaching up to 35 F (1.7 C) to 40 F (4.4 C). What has astounded scientists is that no sunlight reaches the ground during this month. The northernmost land outpost, Cape Morris Jessup, remained above freezing for a full 24 hours on 25 February. Overall, temperatures in the whole region were above zero C on nine separate days during the month, which has never happened before. Sea ice usually expands during this time period until at least mid-March, but measurements show that ice in the Bering Sea and just north of Greenland has actually decreased. Both evolution and climate change are always (so far) openly discussed at national parks. Last year at one of the California national parks we visited, a religious group had a table set up in front of one of the visitor centers and was passing out flyers contradicting evolution (and maybe climate change). I'm sure they had to have a permit to do that. There weren't many takers. They were pleasant enough, but I think we just ignored them, although it's possible I quietly took one to read. I like a good laugh once in a while. Go to 2:28 to see difference between Sept 1984 and Sept 2016. It was actually interesting watching it in its entirety. Oh my. Could be heading to another dust bowl event. This team of researchers extracted ice cores from the glaciers on Mt. Hunter, in Alaska. The ice cores held snow and ice from as far back as 400 years. The researchers showed that the amount of water melt currently is 60 times greater than it was prior to 1850. They also found that the summertime temperature changes on Mt. Hunter are almost 2°C per century (about 3.5°F). To put this in perspective, the temperatures are rising about twice as fast as global temperature. The fact that temperatures on these northern mountains is rising faster than the globe as a whole is something predicted by climate models. The reason it warms so fast in these locations is that as the warming starts, snow begins to melt, exposing dark soil, which absorbs more sunlight, leading to more warming. We call this a feedback loop. There are other feedbacks at play, including changes to vertical temperatures in the air, changes to clouds, and changes to atmosphere currents. These areas were predicted to warm particularly fast, and the measurements confirm the predictions. The authors recognized that during the summer, the top layer of snow and ice can melt. The liquid water permeates the ice beneath it and refreezes, creating a more solid ice layer than before. Because the bands of solid ice are formed from melting snow, more bands of solid ice mean that summer temperatures were above freezing when the ice bands formed. Measuring the number and thickness of these bands through time gives information about how warm the summer temperatures are. So basically, the authors used these annual ice-core bands to deduce temperatures as far back as 400 years ago. They found that the frequency of melting events increased by 57-fold from the 1650–1850 time period compared with 1980–2011. They also measured a 60-fold increase in total melt. These are staggering numbers. I asked the lead author, Dominic Winski to summarize his findings and he told me, "This research shows that peaks in the Alaska Range sustain additional summertime warming through links with rising ocean temperatures in the tropics. Not only have we learned that summers are much warmer on Mt. 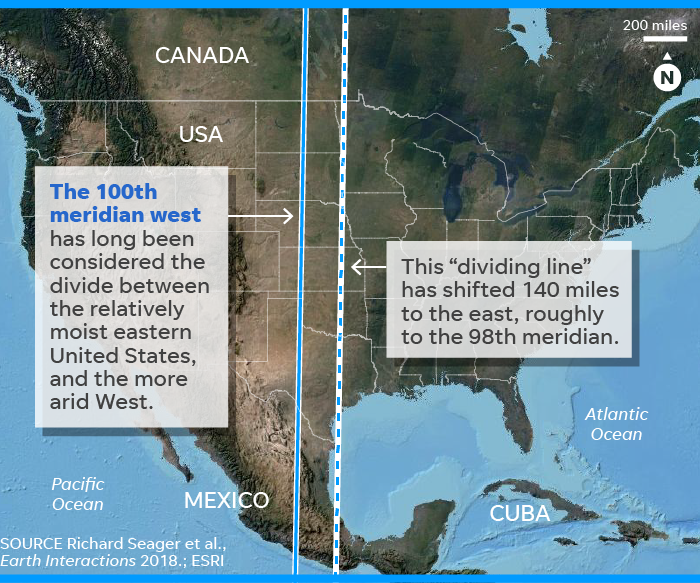 Hunter than they were hundreds of years ago, but our research also demonstrates how connected the climate system is, with changes in certain parts of the world affecting places thousands of miles away." More bad news. Never seems to be any good climate news these days. This bill — the Climate Change is Real Act — would require the Environmental Protection Agency (EPA) to reinstate information about climate change that was removed or redacted from the EPA website since the inauguration of President Donald Trump within 30 days of enactment. The EPA would be required to maintain information acknowledging the impact of human activities on climate and the planet, links to assist local governments in preparing for rising temperatures and more severe weather, and detailed descriptions of climate change risks. Mangroves in south-east Florida in an area studied by the researchers have been on a “death march” inland as they edge away from the swelling ocean but have now hit a manmade levee and are likely to be submerged by water within 30 years, according to the Florida International University analysis. “There’s nowhere left for them to go,” said Dr Randall Parkinson, a coastal geologist at FIU. “They are done. The sea will continue to rise and the question now is whether they will be replaced by open water. I think they will. That mangrove area is just east of the Homestead Air Reserve Base. To expose the outsize role the U.S. president is playing in the willful destruction of planet Earth's natural systems by dragging his feet on addressing the crisis of global warming, a climate activist group in Finland has announced plans to carve Donald Trump's face onto a floating iceberg in the Arctic. 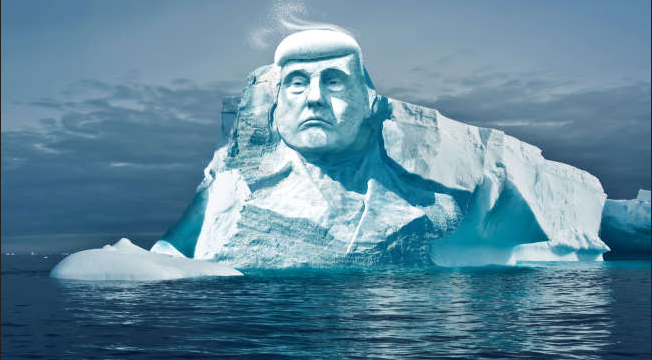 Creating a Mount Rushmore-like monument on a large piece of melting ice, argues the group, is a great way to "demonstrate that climate change is happening" while also putting the onus on one of the most powerful people in the world who refuses to act. 105 years ago there was a person much much smarter than Trump or Pruitt! During a hearing before the House Science, Space and Technology Committee on how technology can be used to address global warming, Brooks tried to convince Philip Duffy, the president of the Woods Hole Research Center and a former senior adviser to the Global Change Research Program, that soil and rocks falling into the ocean off of cliffs along the coast of California was causing sea levels to rise. He also argued that sedimentary and silt from large rivers, like the Mississippi, were contributing to the problem. “Every time you have that soil or rock or whatever it is that is deposited into the seas, that forces the sea levels to rise, because now you have less space in those oceans, because the bottom is moving up,” Brooks said, according to the report. Brooks needs to do some math. Those rocks and silt are too small in volume to be significant. Also, while some shorelines are eroding into the seas other shorelines are growing when the seas deposit material onto the beaches. Clearly, we have been taking the Science Committee’s understanding of climate change for granite. And while I appreciate the sediment, maybe we should leave climate science to the professionals. In 1896 Svante Arrhenius calculated the effect upon atmospheric temperature of an increase of carbon dioxide in the atmosphere. He is often considered to be the father of climate science.